The hybrid cloud segment led the market in 2016, and is expected to continue to remain dominant in the near future. Furthermore, the other industry vertical segment dominated the overall market in the same here, and deployed the cloud business analytics software on a larger scale. 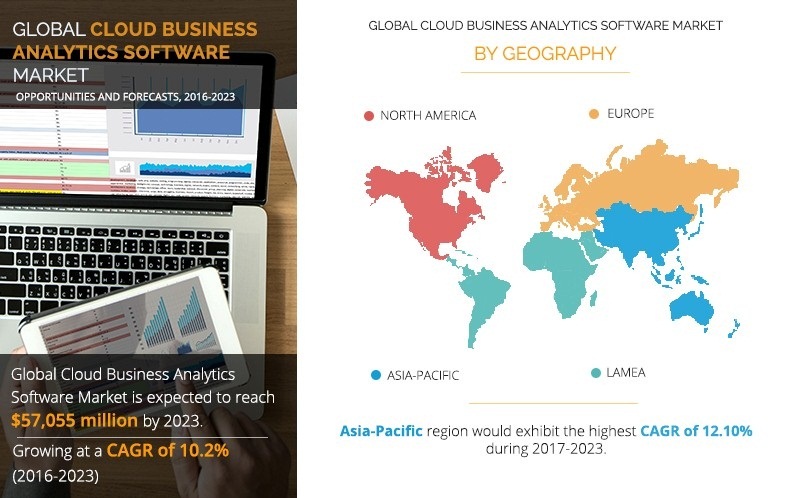 Increase in adoption of business analytics software by many organizations and surge in demand for cloud-based business analytics software among SMEs are the major factors that fuel the growth of the business analytics software market. However, factors such as insufficient volume of meaningful data among SME’s and traditional data warehouses hamper the market growth to a certain extent. 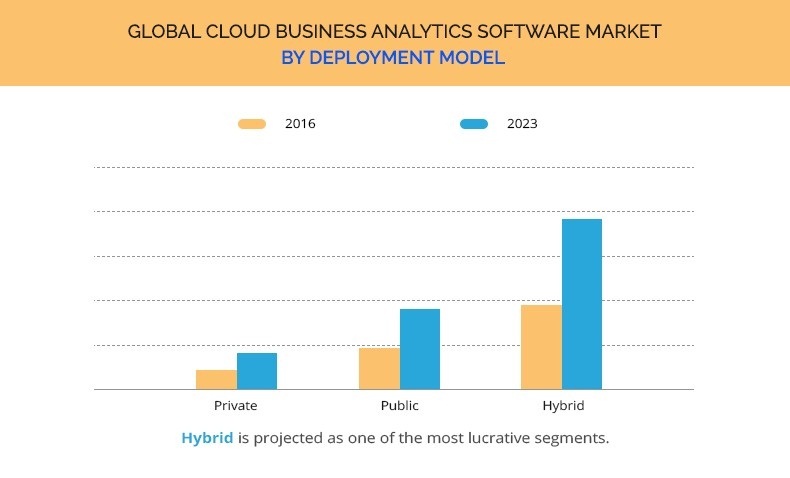 The global cloud-based business analytics software market is segmented into deployment model, end user, application, and region. Based on deployment model, it is divided into private cloud, public cloud, and hybrid cloud. Based on end user, it is classified into IT & telecom, retail, BFSI, manufacturing, and others. By application, it is categorized into customer analytics, supply chain analytics, marketing analytics, pricing analytics, and others. By region, it is analyzed across North America, Europe, Asia-Pacific, and LAMEA. 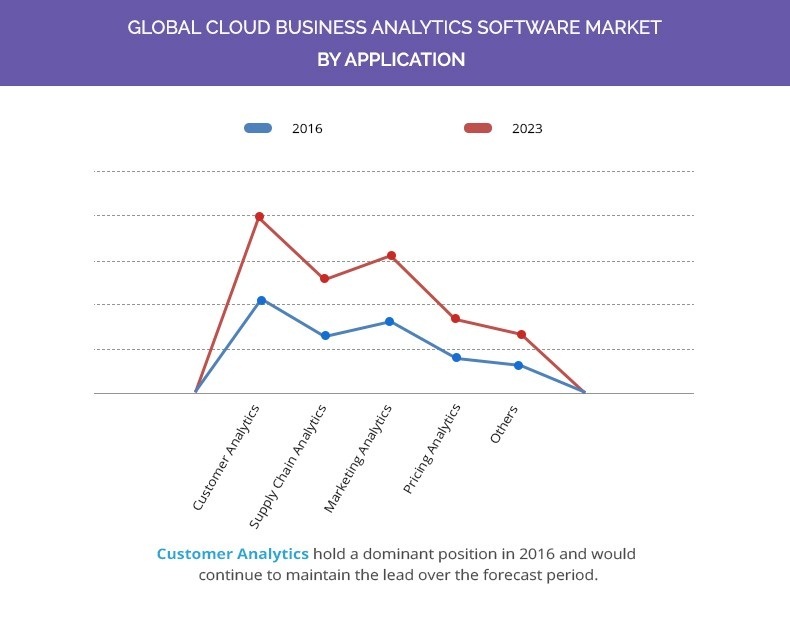 The key players operating in the global cloud-based business analytics software market include Oracle Corporation, SAS Institute Inc., SAP SE, International Business Machines (IBM) Corporation, Microsoft Corporation, Adobe Systems Incorporated, Tableau Software., Salesforce.com, Inc., QlikTech International AB, and Fair Isaac Corporation. 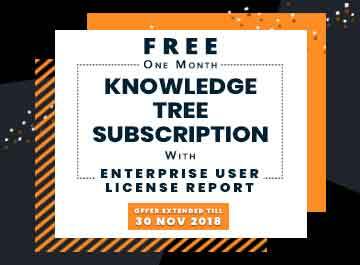 Continuous increase in adoption of business analytics software, development of trends such as social media analytics, and increase in awareness about the benefits of cloud business analytics software for decision-making drive the growth of the market. However, insufficient volume of meaningful data among SMEs as well as traditional data warehouses are expected to hamper the market growth during the forecast period. Many organizations invest in business intelligence and analytic tools to drive revenue and improve service efficiencies, which fuels the growth of the market. Moreover, senior executives of many organizations increasingly explore different styles of analytics to resolve their business imperatives, which results in growth in importance of business analytics in many regions. This in turn boosts the adoption of business analytics. The increased availability of accessible cheap data centers delivered by cloud vendors, has brought down the costs of upfront investment for small- and medium-sized businesses, thereby reducing the market entry barrier. Therefore, there is a continuous increase in the demand for cloud-based business analytics software among small- and medium-sized enterprises. Ability of cloud business analytics software to help make proper business-related decisions and to provide competitive advantage by analyzing information in a timely manner propels the growth of the market. In addition, the demand for cloud-based business analytics software is on an increase due to its benefits such as easy access to vital business metrics, useful insight on customer behavior, increased revenue, improved efficiency, and others. This study includes the analytical depiction of the global cloud-based business analytics software market along with current trends and future estimations to determine the imminent investment pockets. Porter’s Five Forces analysis illustrates the potency of buyers & suppliers in the global cloud-based business analytics software industry. Cloud-based business analytics software helps to interpret and analyze business data by continuously exploring and investigating historical business information over cloud to gain decisive insights for business planning. Adoption of business analytics software over cloud has increased over a period of time due to its numerous advantages such as data security, advanced mobility, adaptable platforms, increased efficiency, and others. Increase in adoption of cloud-based business analytics software to gain useful insights from the historical data and rise in awareness about its benefits predominantly drive the growth of the business analytics software market. In addition, surge in volume & diversity of data in organizations make way for the need of analytical software to derive meaningful relationships, patterns, and insights from unorganized data, which has become one of the essential components for end users. Moreover, ability of these software to provide high performance at lower cost increases its adoption across small- and medium-sized organizations. Furthermore, emerging trends in this global cloud-based business analytics software market such as social media analytics and its integration with mobiles boost the market growth. Some of the key players operating profiled in the report include Oracle Corporation, SAS Institute Inc., SAP SE, International Business Machines (IBM) Corporation, Microsoft Corporation, Adobe Systems Incorporated, Tableau Software, Salesforce.com, Inc., QlikTech International AB, and Fair Isaac Corporation. The market players have adopted various strategies to enhance their product portfolio and to increase their market penetration. Moreover, rise in investment for research to develop new products to increase their customer base strengthens their foothold in the market. "Cloud-Based Business Analytics Software Market"